The Baltimore Police Department (BPD), still mired in the aftermath of numerous misconduct scandals, four commissioners in three years and the mysterious death of Det. Sean Suiter, is federally mandated to implement sweeping reforms. However, the judge overseeing that process says he doubts the BPD has the capacity to implement those changes. U.S. District Judge James Bredar is presiding over Baltimore’s consent decree, which is the result of the Department of Justice (DOJ) patterns or practice report against the BPD issued in 2016. Recently, according to the Baltimore Sun, Bredar issued an order granting an extension connected to the implementation process, where he questioned BPD’s ability to make the changes ordered by the DOJ. “The court does not doubt [the department’s] good faith, but it has growing concerns about the BPD’s ability to deliver on its promises, i.e., its capacity to achieve compliance with the consent decree,” Bredar wrote according to the Sun. 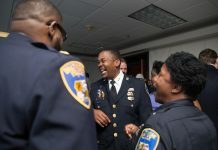 He noted the turmoil within the BPD leadership, among other factors impeding the department from making the federally mandated reforms and ultimately, perhaps, the turnaround of a besieged police agency. “A lack of consistent, strong leadership can have cascading ill effects throughout an agency; this is but one example of that…The Department’s good faith becomes almost irrelevant if they otherwise lack the leadership, resources and capacity to follow through and achieve compliance,” Bredar wrote. 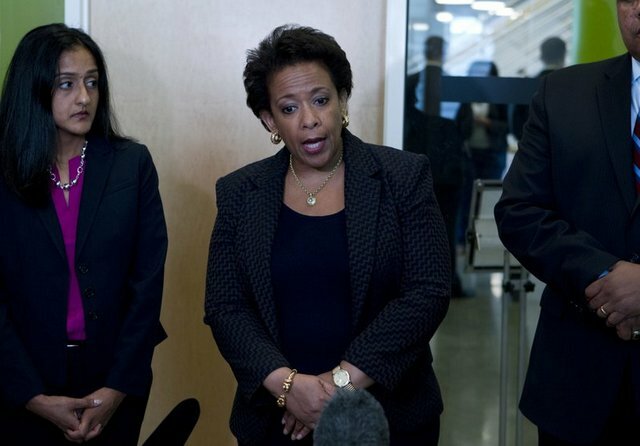 Former Baltimore Mayor Stephanie Rawlings-Blake sought a Department of Justice probe in May 2015, in the wake of the death of Freddie Gray and the subsequent uprising. In July 2015, then Baltimore Police Commissioner Anthony Batts was fired and replaced (on an interim basis initially) by Kevin Davis. In 2016, the DOJ issued its scathing report on the BPD. In 2017, the exploits of the nefarious Gun Trace Task Force were revealed resulting in the arrest and indictment of all eight members of the now disbanded elite unit, six of whom have been sentenced to prison. That same year in November, Det. Sean Suiter was killed while on duty in an alley in West Baltimore, a death that has remained unsolved. 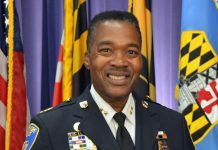 Davis was fired by Mayor Catherine Pugh in January and replaced by Darryl De Sousa, who resigned as commissioner in May after being charged with failing to file federal taxes. Currently, the department is being led by Interim Commissioner Garry Tuggle. Ken Thompson leads the independent monitoring team working with the BPD and the DOJ to rewrite police policies. “It quickly became apparent that OPR (Office of Professional Responsibility) suffers from organizational deficiencies that impede its work,” wrote Thompson in court filings requesting the extension Bredar granted. According to the Sun story, BPD had no comment regarding Bredar and Thompson’s findings connected to implementation of the consent decree.